Our team of personal injury attorneys will educate clients, helping clients understand their available legal options, and working together to find the best strategies to satisfy their needs. 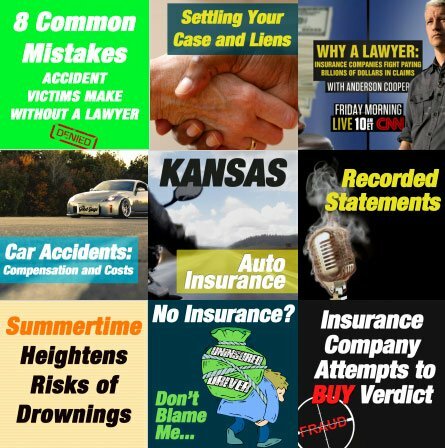 Patterson Legal Group, LC has compiled several free resources to help educate yourself on the basics of Kansas accident laws, and to provide insights on solving problems personal injury victims commonly face. Wondering how a case works in Kansas? Our Kansas Claim Infographic illustrates the process from the time an accident or injury occurs through resolution. The road we travel is different for each client. Thank you for Deanna listening to all my crying and whining, she was great moral support for me throughout this process. Kenton, thank you, you are a very good lawyer! I was very happy with their services , they were a great help.